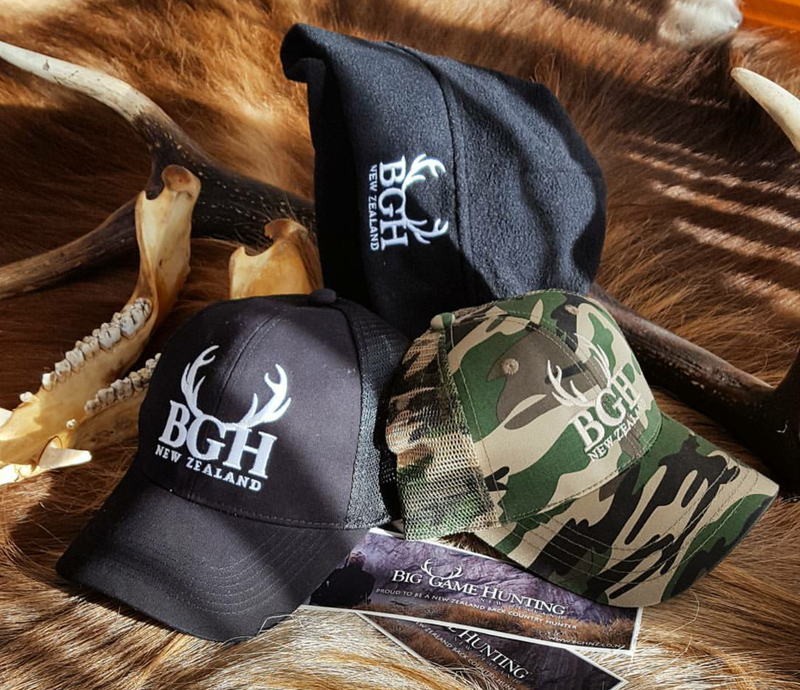 Fully customised caps produced for Big Game Hunting NZ. The cap is embroidered on the front, website printed on the inside seams, with custom inside label. For a minimum of 150 caps you can custom make your own cap to whatever style, colour, branding, custom buckles and more.